Understanding the basics of your health insurance policy terms will not only help you find affordable health insurance but will help you understand your medical bills and your health insurance billing statement after you have filed your health insurance claim. 41% of Americans do not understand their medical bills. Here are some tips and resources to help you understand your health insurance bill, billing errors, and how to check or negotiate your medical bill when your health insurance bills are confusing. An explanation of benefits is a summary of the costs that your medical provider billed your insurance for and what they did with the claim. The EOB is not a bill; it explains how the costs of your medical care (the medical bill) will be split between you and your insurer. To see an example of an EOB, you can click here. Ask your service provider for an itemized list of services or procedures provided to you. Use it to compare with your EOB. Ask your service provider to confirm to you how much of the services were covered by your health insurance; compare this to your EOB. If health insurance claim or coverage was denied, here is some information on how to appeal the health insurer's claim decision. Equifax did a study on medical billing and found that hospital bills totaling $10,000 or more had on average $1300 of medical billing errors on them. According to Derek Fitteron, CEO of Medical Cost Advocate, experts say that 80% of medical bills may contain errors. Here are some examples of mistakes that might happen with coding on your medical bill which would cause a denial of coverage, but it is due to a mistake. Bundling Errors Often there are codes for a group of services or supplies that get bundled together. If the wrong code is used, or if a code is used outside of the bundle code, then the individual code may be denied. Upcoding Errors When the wrong code is used for a service or procedure. An example would be a code used for a brand name drug when the right code should have been the code for the generic drug. Another example is when a person is billed for a more severe version of their injury for example coding for a broken arm when it was just a sprain. Downcoding Errors When you are billed for the wrong treatment, your coverage may be denied. Using the same example above, maybe they enter the code for a sprain, but really you had a broken ankle, that's downcoding and incorrect billing. If you are being overcharged on a medical bill, it could be difficult for you to know on your own, but you can always compare to the costs that Medicare would charge, by checking out their cost list or physician fees on their website. Once you know what is supposed to be charged, you may be in a better position to negotiate a better price or reduction. Check the dates of service, as well as the billing codes used. Make sure nothing is duplicated. "Know your rights. Certain states have laws against balance billing, in which a provider bills a patient for the balance left over after he is paid by the insurance company. If this type of "surprise" billing happens to you, always check to see if you legally have to pay it." One of the reasons for medical billing errors may be related to the number of codes used. In the past several years, the number of billing codes has increased from 24,000 to approximately 175,000. You can check your medical bills yourself using the tools we provided above. Start by trying to check the billing codes and fees being charged. Then, make a call to your health insurance provider and ask them to explain the EOB. You can also make calls to the medical service provider. 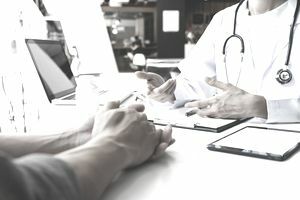 More hospitals and doctors offices are working hard to help their patients understand their medical billing and depending on the care facility; they may have people in the accounting and finance department who will be willing to help you. If you do not find any billing errors, you can still try and negotiate to see if any of the costs may be waived, or reduced. Once you agree on an amount that must be paid, try and come to a payment arrangement to avoid having your account go into collection. Many organizations and hospitals have patient advocates or medical billing advocates who may be able to help you in the process of reviewing your medical bills, don't be afraid to ask.